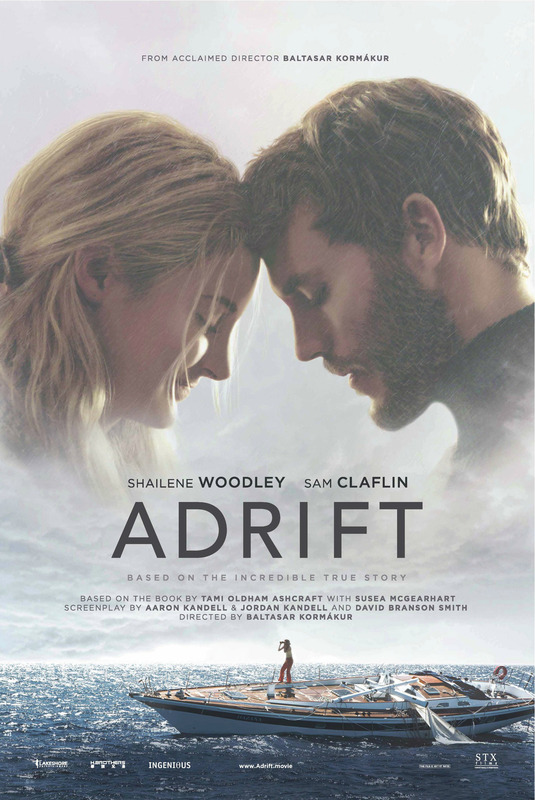 Based on the inspiring true story of two sailors who set out to journey across the ocean from Tahiti to San Diego. Tami Oldham (Woodley) and Richard Sharp (Claflin) couldn’t anticipate they would be sailing directly into one of the most catastrophic hurricanes in recorded history. In the aftermath of the storm, Tami awakens to find Richard badly injured and their boat in ruins. With no hope for rescue, Tami must find the strength and determination to save herself and the only man she has ever loved. The NSA’s illegal surveillance techniques are leaked to the public by one of the agency’s employees, Edward Snowden, in the form of thousands of classified documents distributed to the press. 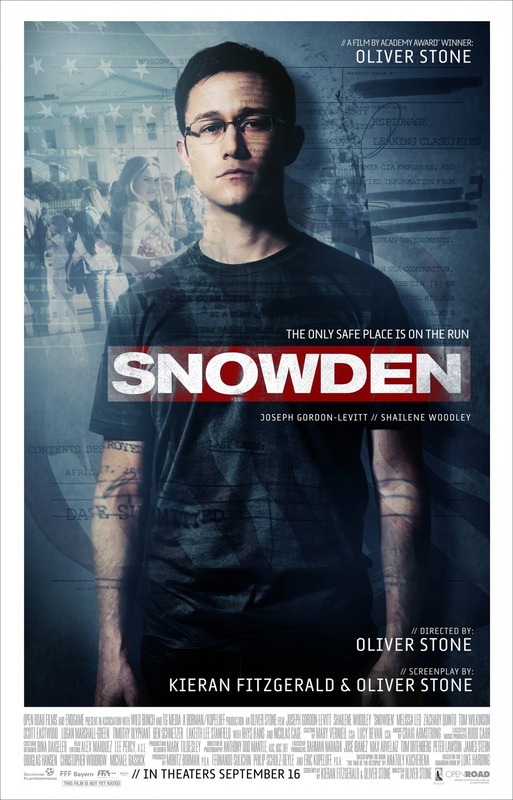 Various news clips about Snowden and the NSA’s bulk recording acts are shown, along with pictures of the actual Edward Snowden. After the earth-shattering revelations of INSURGENT, Tris must escape with Four and go beyond the wall enclosing Chicago. For the first time ever, they will leave the only city and family they have ever known. Once outside, old discoveries are quickly rendered meaningless with the revelation of shocking new truths. Tris and Four must quickly decide who they can trust as a ruthless battle ignites beyond the walls of Chicago which threatens all of humanity. 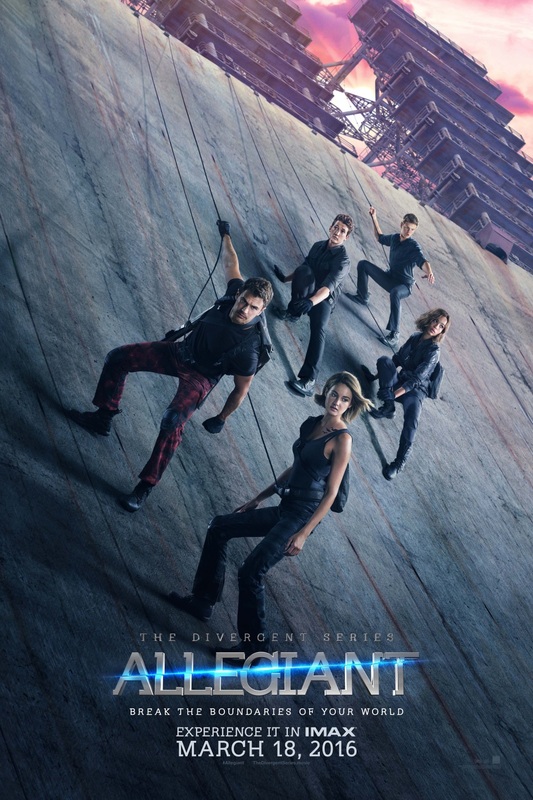 In order to survive, Tris will be forced to make impossible choices about courage, allegiance, sacrifice and love. Was seeing The Divergent Series: Allegiant - Part 1 in IMAX worth the cost? We see the various faction symbols disintegrate. The last thing we see is a new symbol being formed. 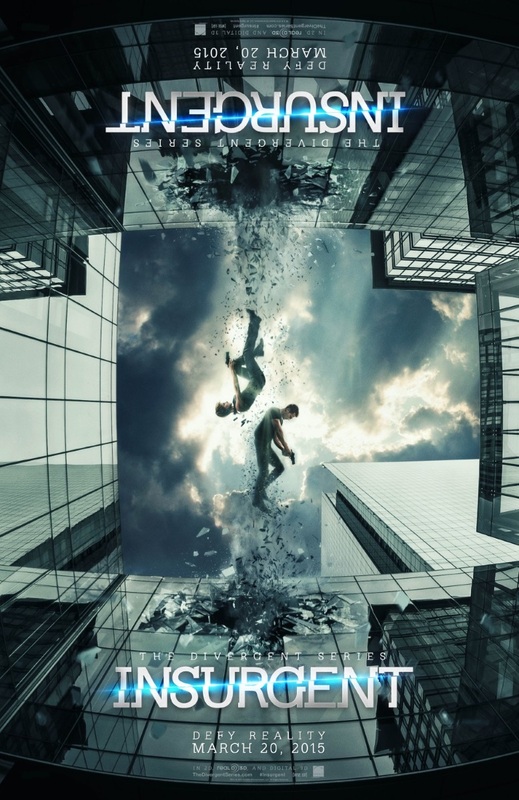 Was seeing Insurgent in 3D or IMAX 3D worth the cost? In 1988, a teenage girl’s life is thrown into chaos when her mother disappears. 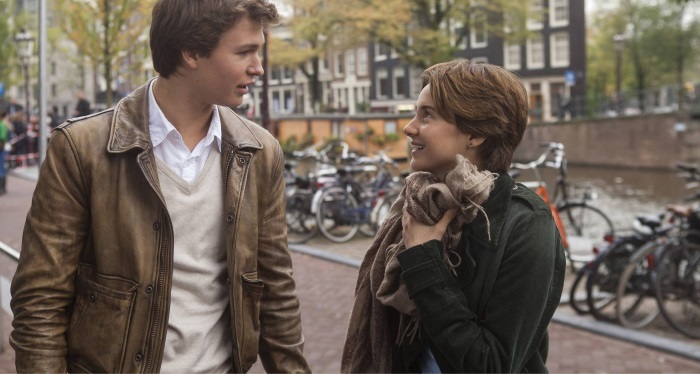 I had little clues as to what to expect from the film adaptation of John Green’s young adult novel The Fault in Our Stars . I have not read the book but I know that the novel has grown a fairly huge fan base. This wasn’t one that I was really that interested in seeing at the Seattle International Film Festival but the film is getting a wide scale release and its debut was at this year’s SIFF. 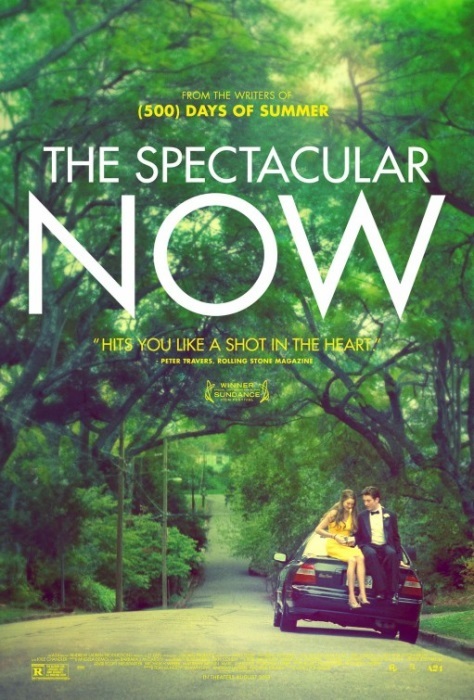 It wasn’t that I was openly expecting to hate it, I wouldn’t have been surprised if the film turned out to be as good as The Spectacular Now but I also wouldn’t have been that surprised if the film turned out to be as bad as Safe Haven. However, the film did turn out to be a surprisingly enjoyable film for many different reasons. Hazel Lancaster (Shailene Woodley) is terminally ill with cancer. In her life, she has always felt as though there is no purpose as she will die at a younger age. That is until she meets Augustus Waters (Ansel Elgort), he used to have cancer but after an amputation, it has all cleared up. There interactions with each other create a passionate romance and changes Hazel’s entire outlook on existence. First off I think all of the performances are great. Laura Dern adds dimension to her portrayal of Hazel’s mom. The character was very sympathetic as they showed her as trying desperately to keep light on all situations even as the thing she loved the most was on the edge of life and death. Another standout in the supporting cast was Willem Dafoe as Peter van Houten, the crazed author of Hazel’s favorite novel. The character is a sort of eccentric loner who can be bitter and at times kind. Willem Dafoe plays this part perfectly and he steals all of the scenes he is in whenever he appears. 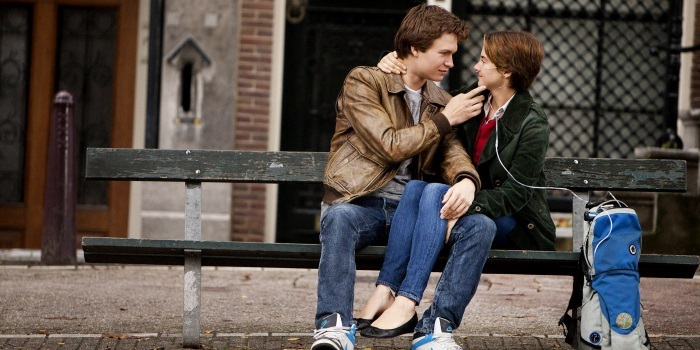 Then we have the two lovers played by Shailene Woodley and Ansel Elgort. Luckily for the emotions and themes the film tries to achieve, both of them give the best performances of the film. 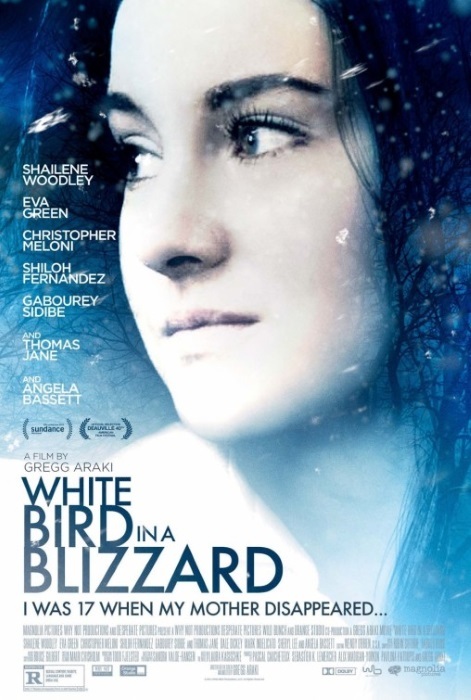 Shailene plays Hazel with the right amount of angst and realism. She seems both depressed and happy in different points. She works off of every actor in the movie and finds a way to genuinely deliver all of her more dramatic scenes. The portrayal and the character both are filled with an honest and genuine respect towards presenting what appears to be an interpretation of teen angst. She deals with heavy problems in a way you would expect a normal person to react. Shailene Woodley I believe has always had a great ability to give very down to earth performances whether it is as the coping daughter in The Descendants, the shy, nerd in The Spectacular Now or the refreshingly downbeat protagonist of Divergent. The Fault in our Stars gives her a character she is the perfect fit for and I think it is pretty clear by the car scene in the end that this is her best performance since her should’ve been nominated role in The Descendants. 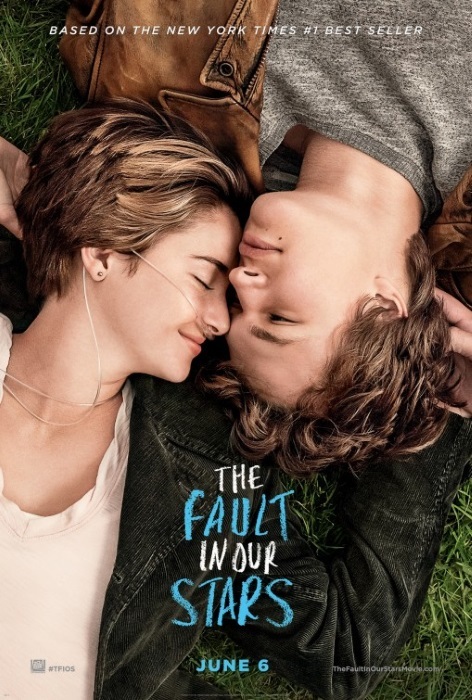 I didn’t expect much from Ansel Elgort as Augustus and mostly I thought he would just be giving a forgettable, bland and weak teen romance performance as you would expect to see in a Nicolas Sparks adaptation. Much to my surprise, Ansel does a very solid job and almost matches his counterpart. The first thing he does well is that he knows how to bounce off of what Woodley says which made for some very touching chemistry between the two. Secondly and most importantly, whenever the script asks for him to do something that is supposed to be a huge heartfelt moment, he does a great job with what he is given. Shailene still gives the better performance of the two but I think he has a lot more standout moments in his portrayal than she does. Josh Boone’s direction is good; I don’t think it’s anything to write home about but he does a fine job nonetheless. His modernized and well shot style is certainly a step up from the direction of other teenage novel adaptations we’ve seen of late. The only technical standout for me was the great soundtrack. The film uses a wide variety of modern alternative music without it ever feeling likes it pandering to its audience. It isn’t like The Amazing Spider-Man 2 where suddenly in one scene Peter Parker will randomly be listening to Home by Philip Phillips. The music is well placed and adds to the mood of the scenes as well as the emotions and personalities of the characters. An impressively high amount of the soundtrack was also written for the movie so if you want to expect The Fault in our Stars for an Oscar nomination, best original song is the best place to predict as of right now. The film impressed me again with how well the film captured the problems of the teen protagonist. From a writing standpoint, it never seemed to me to be overly melodramatic. None of the characters seemed to be simple stereotypes, much rather the film uses a wide array of interesting and likable supporting characters. The relationship between the two leads in the performances and in the characters is constantly funny, heartbreaking and inspiring, sometimes all at the same time. Hazel is shown to be covering herself from the world. She is afraid to break hearts and have her heart broken. She wastes her days away in fear of standing face to face with the tragedies that will eventually face us all. Throughout the film, we successfully get to see her slowly evolve as she realizes that perhaps we must all face the world even if it may hurt us. Things may be painful but that is one of the great experiences that make us human. 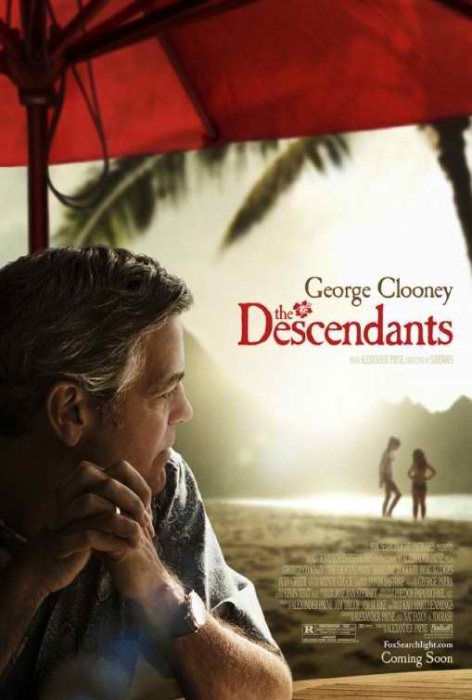 The film sometimes falls into pretty stereotypical territory to get this point across but the film is actually quite excellent at presenting us with this lifestyle through the tragic and complex relationship between the two main characters. There were a few problems I did have with the film. As I said above, there are times where it does fall into a couple of stereotypes along the way in terms of what you would expect from a tragic romance. For the first part of the movie, the editing feels a little rushed and choppy in presenting the storyline but this flaw eventually stops as the story settles in. A problem many book adaptations can face is how to pace the story. The film slows down after the jagged opening part and I was never bored for the two hour and six minute runtime. That being said, there are a couple of moments where huge details of the story are presented out of nowhere with very poor execution and for many of these cases, there was a little bit of whiplash. The film flows fine throughout but some of the plot points felt thrown in like a boulder. Beyond a few critiques I had with errors in storytelling and clichés scattered throughout, The Fault in our Stars is a touching coming of age story with heartfelt dialogue, interesting characters and great supporting and lead performances. We live in a scary and unpredictable world, but on the flip side this world is also exciting and poignant. 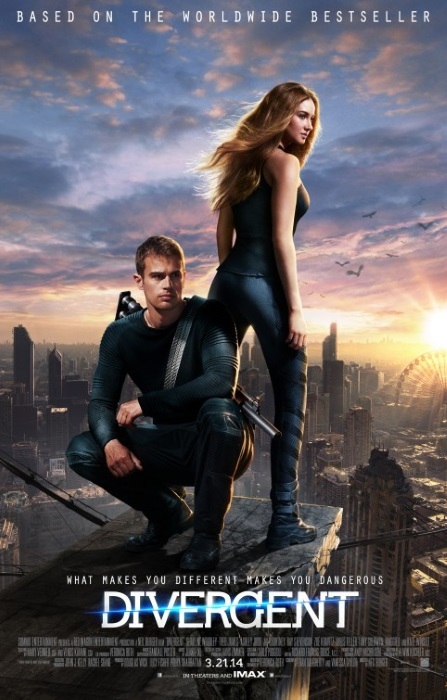 In a world divided by factions based on virtues, Tris learns she’s Divergent and won’t fit in. When she discovers a plot to destroy Divergents, Tris and the mysterious Four must find out what makes Divergents dangerous before it’s too late.